If you need your item sooner then please contact us. 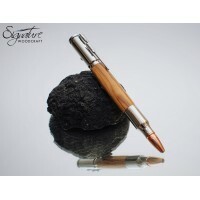 Creators of high quality handmade wooden pens and gifts. Our luxury pens and gifts are hand-crafted in our workshop in Co. Antrim, Northern Ireland, UK, using a combination of traditional and modern techniques. 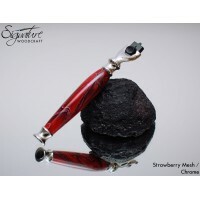 Our hand-turned pens and gifts are fashioned from local and exotic timbers, along with other materials such as acrylics to create timeless pieces of functional art. We specialise in bespoke writing instruments, developed individually to each customer's requirements. 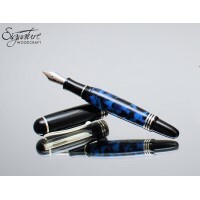 As such, your custom-made pens and wooden pens are given dedicated care and attention to ensure that you receive the writing instrument that you desire. 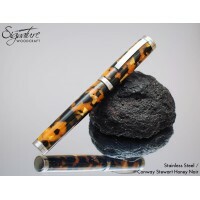 Our handmade pen range includes high-end fountain pens, wooden fountain pens, acrylic fountain pens, rollerball luxury pens and executive wooden ballpoint pens. Our gift range includes shaving accessories (razor handles, shaving brushes etc), ladies gifts, clocks, pocket watches to name a few. If you are looking for something different to give as a gift, our tailor-made products make perfect gifts for birthdays, engagements, weddings, retirements, job promotions, graduations, corporate promotions, thank-you's any other event/celebration. 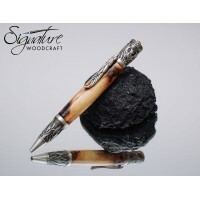 A handmade wooden pen is an ideal way to treat yourself or loved one! These are products that are not available on the high street, and because every piece of material is different, your luxury pen will also be totally unique to you. We are also able to now engrave your handcrafted wooden pen. 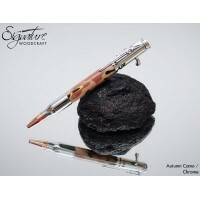 We allow you to select your preferred wood when creating the perfect handmade wooden pen. 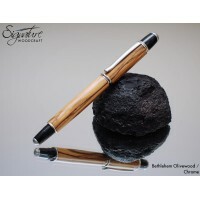 Irish Bog Oak pens are very popular, and represent a special opportunity to purchase a pen made in Ireland, from Ireland! 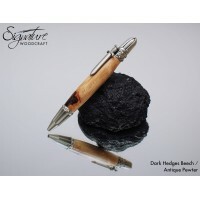 Any of our pens can be made from Irish Bog Oak, simply select "Irish Bog Oak" when purchasing your pen. All our handmade pens come with a luxury black velvet presentation case and a premium grade refill as standard and are refillable. Our luxury fountain pens can be upgraded with Bock or Schmidt nibs before dispatch. Simply select the nib you would like on the product page. We can create most of our products from wood that is of sentimental value to you. Contact us for more info! We can offer an engraving/personalisation service to further personalise your pen, see here for ordering. You can also check out our recent blog post for more details here.